Well, that’s a relief. A win and a clean sheet, but in our 4th game of the season, sets us up properly to a mean couple of weeks with Wolfsburg, Palace, Swansea and Liverpool all to follow between now and the end of the month. And of course there is little let up in early October with a trip to Russia and Old Trafford (both equally cold, both equally impossible to get away from). But hey, that’s what we want isn’t it? Yes. Anyway, back to the Hawthorns. An unremarkable game in many respects, with West Brom offering little to get over excited about other than we gifted them the odd opportunity. Once again, one too many touches in our own box rather than a lump out of the area, or a cross not convincingly dealt with, presented half chances for an otherwise toothless Albion, who frankly should have Big Vic starting every week if that’s the best Ideye and the lumbering Samaras can come up with. The Everton defence will be chuffed to bits about a clean sheet, never really threatened until the last minute, but also will be heartened by a better shape, a better snap in the tackle, and frankly better support from the six men in front of them. Let’s give some plaudits to our decidedly right-footed back four, but it was, as these things usually are, a team defence. Which leads me on to Lukaku. One of the best stats I read was that his goal was the first he’s ever scored for a team that owns him! I suspect this only applies to the Premiership, but even so, an interesting fact. But far more interesting to me was the way he played. We know that his first touch can sometimes resemble a newspaper blowing away from you in a strong gale (as in, you think you’ve got it under control, but then it runs away from you), but yesterday I thought his touch was better, his strength was better deployed, and his runs and dribbles were loads better. He has one of his better games for me, but Roberto is always right to remind us that although he looks like a house- side, this lad is still very young, still growing – in footballing terms, and emotionally, probably not physically (God help defenders if he gets even bigger) – and he will have stinker games, stinker spells within games, and stinker patches when he can’t hit a cow’s arse with a banjo…..and yet he’ll still get us at least 15-20 goals a season. What impressed me most, apart from a scintillating goal, was that when he collected balls closer to the half way line than the 18 yard area, that he turned, and drove at the opposition, which must be a terrifying sight for a defender. Interesting too, that both McGeady and Mirallas were more frequently driving at defences. We need to do this, because defenders are setting up to negate our threats down the flanks with Coleman and Baines, thus leaving space for the wingers to move in to in the middle. 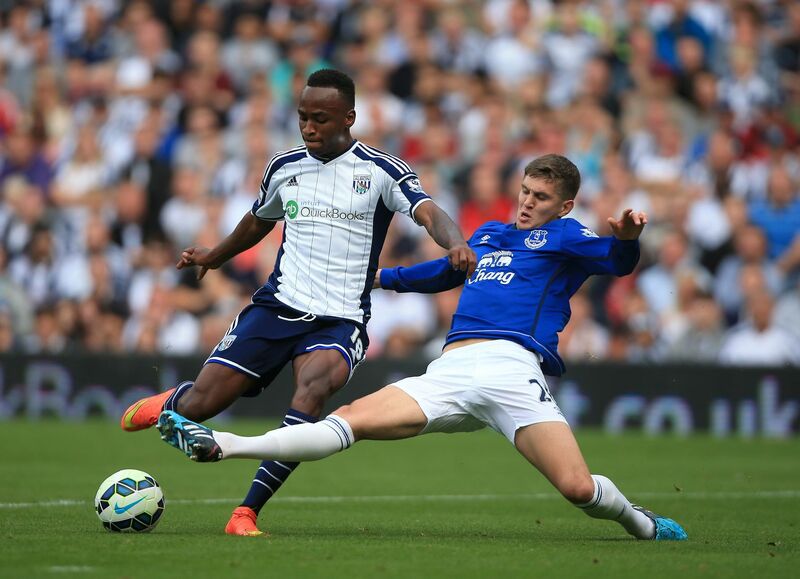 I’m sure Atsu will relish the prospects if and when he gets his chance. McGeady looks like he’s enjoying his football at the moment. Not that he smiles much to demonstrate that enjoyment, but the way he’s taking on players, taking on the longer range shots, as well as taking on the incisive pass, shows he’s relishing his time on the pitch. I genuinely believe he could be one of our best players this season. Likewise Mirallas, whose trickery looked great yesterday, and also not afraid to have a shot. Some of our approach play was laboured, but then we seemed to spring in to life, and the move that nearly gave Osman a superb goal to add to his portfolio in the dying minutes was absolutely sublime. Not to mention Ross Barkley, one of the most exciting players in the league! Good resume’ of the game.